This visually stunning and timely book reveals how leading artists of the 21st century are reinvigorating the still life, a genre previously synonymous with the sixteenth- and seventeenth-century Old Masters. Michael Petry’s careful selection celebrates works by emerging and established artists alike, from all over the globe, including John Currin, Elmgreen & Dragset, Robert Gober, Renata Hegyi, Damien Hirst, David Hockney, Gary Hume, Sarah Lucas, Beatriz Milhazes, Gabriel Orozco, Elizabeth Peyton, Marc Quinn, Gerhard Richter, Sam Taylor-Wood and Ai Wei Wei. Short and compelling introductions begin each chapter and are followed by dramatic, visually led spreads that pair each work with a perceptive reading of its significance to the still-life tradition. 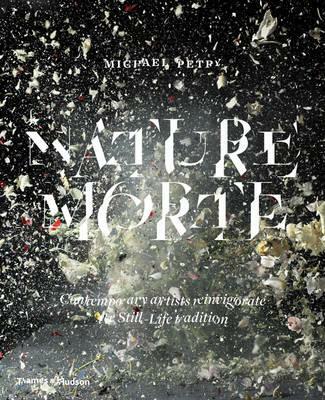 Petry’s engaging, provocative text reveals how contemporary practitioners are revisiting the major motifs of the still life and translating them for the modern world. Petry explores the timeless themes of life, death and the irrevocable passing of time in these new works for our modern world; artworks that invite us to pause and reconsider what it means to be human.